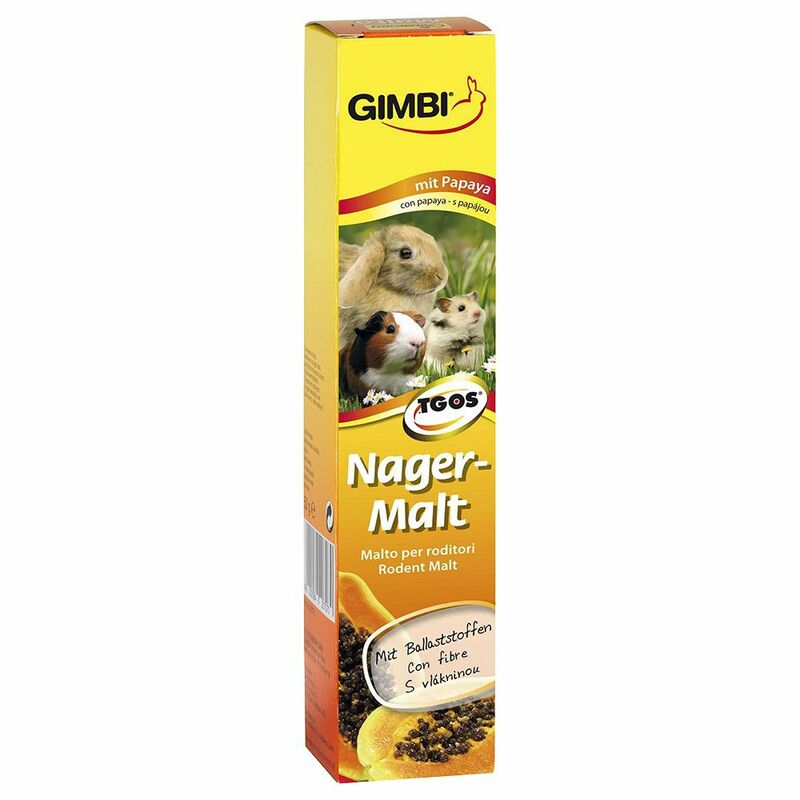 Gimbi Small Pet Malt Paste promotes natural digestion of swallowed hairs by use of naturally pure malt, special plant oil, and dietary fibre. That way problems from hair that is swallowed while grooming don't become problems in the first place. Mit TGOS (= Trans-Galacto-Oligo-Saccharide from derivatives of milk). TGOS has a positive influence on the intestinal flora. The production of "good" bacteria is promoted while the production of harmful bacteria is repreΒed.